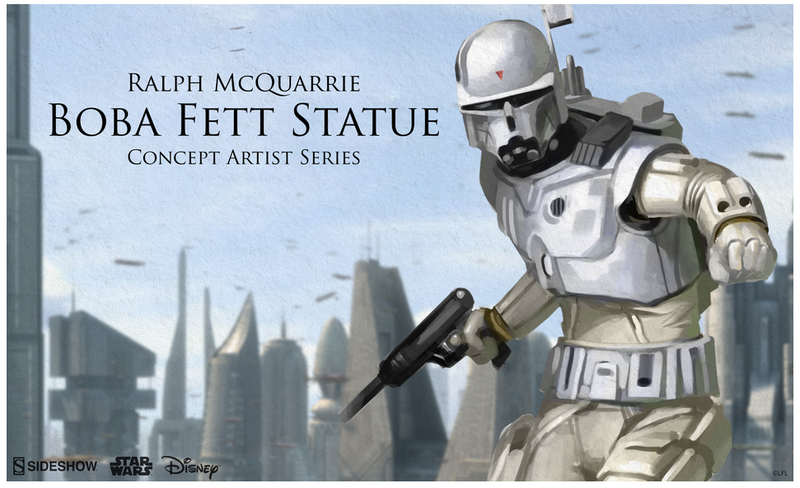 Ralph McQuarrie is a legend in the film industry. His incredible work on the original Star Wars trilogy, E.T. The Extra Terresterial, Cocoon, Nightbreed and the original Battlestar Galactica TV series secured his place as one of the most influential conceptual designers and illustrators to ever work in the entertainment industry. 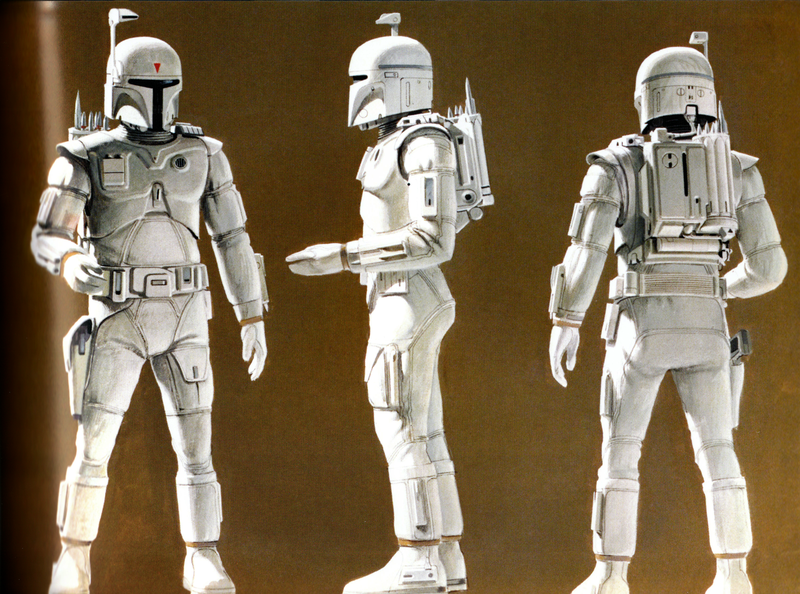 Sideshow Collectibles has just teased a rather highly desirable new statue based off of McQuarrie’s concept art featuring our favorite bounty hunter, Boba Fett. Be sure to stop by Sideshow Collectibles booth to see what is sure to be a must-have for Star Wars Fans. Follow Sideshow Collectibles on TWITTER to find out when this figure is available for preorder and head on over to their OFFICIAL WEBSITE to see the rest of their amazing collection. This entry was posted in Collectible, Comic Con, Movies, Pop Culture, Science Fiction, Star Wars and tagged Boba Fett, Cocoon, Concept Art, conceptual designer, E.T. The Extra Terresterial, Legend, Nightbreed, Ralph McQuarrie, sideshow collectibles, Star Wars. Bookmark the permalink.